Today’s Trinity Web Minute focuses on various marketing principles we stand by and how they play into an effective SEO strategy. If you follow our content or tune into Trinity’s digital marketing podcast, “The New Marketing Show” you are aware of Google’s latest algorithm update. Since these changes are considered a “broad core update,” Google has stood by the fact that niche markets are not being targeted. In our opinion, it is just a matter of time before these updates affect you and your business. Many people we have spoken to have experienced a recent drop in SEO rankings and are becoming concerned. Although these drops in your analytics can be unnerving, start by giving yourself credit that you are tracking the right numbers. As you should know, staying on top of things by monitoring analytics is crucial to the life of your business. So, should you worry about these sudden search ranking dips? Let’s find out. 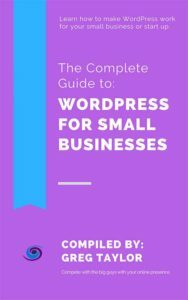 New Jersey WordPress development expert Greg Taylor breaks down several key marketing principles to keep your SEO on point.